Entergy just announced the completion of a deal to sell Vermont Yankee power to Vermont Electric Co-Op. The deal is for power available after 2012, contingent on Vermont Yankee still running after 2012. The opening cost for the power is 4.9 cents kWh, not much more than the 4.5 cents Entergy is currently receiving in its existing contracts, and far less that the touted 5.8 cents of the HydroQuebec deal with other Vermont utilities. Both the Entergy deal and the HydroQuebec deal quote only the going-in rate, and move with the market in a mysterious way. Entergy also announced that it did not get an offer on Vermont Yankee. I admit I was wrong. I thought Entergy would get an offer. My reasoning was right in some ways: other utilities see the value of the plant. It is not an old rust-bucket. As the plant spokesman, Larry Smith, stated in the press release: Although we received interest from a number of companies, the conclusion of the sale process, without a sale, was driven primarily by the uncertain political environment in Vermont," Smith said. "The plant's strong operating performance was attractive to potential buyers; the political uncertainty was not." However, my prediction that another company would make a contingent offer turned out to be wrong. Meanwhile, as I was following the twitter stream, journalist Shay Totten tweeted that the CEO of Vermont Electric Co-operative found the Entergy press release misleading and said that the CEO, Dave Hallquist, plans to "do a lot of interviews tonight." More information to come on this, no doubt. Finally, I would like to recommend a few links from the past day or so. In today's Atomic Insights blog, Howard Shaffer discusses the evolution of Mark I containment. In Nuclear Green, Charles Barton describes the good, the bad, and the ugly about Fukushima and its press coverage. As I wrote two days ago, I thought Capacity Factor had the most reasonable assessment of the fall-out situation in Japan, though it was far more pessimistic than the BBC assessment. Unfortunately, I seem to have been right. The village that Capacity Factor projected should be evacuated is indeed being evacuated. The heavy fall-out is in a small area, but this is still not good news. I also wrote that I could not figure out the injuries at the plant. A list has now been published. The injuries are mostly due to the earthquake, tsunami, and industrial accidents, with a few due to radiation. None of the radiation injuries sounds serious, but we really don't know. In a more upbeat note, about 200 people displaced by the tsunami have found shelter at the Onogawa nuclear plant. The Fukushima reactors have power, but they are still struggling. Yesterday, Areva confirmed that TEPCO had just asked them for help. There is no announced change in the status of the reactors. However, reports of the spread of radiation are not looking good at all. I think Capacity Factor, once again, has the best analysis so far. He concentrates on the cesium fall-out, and does not agree with the optimistic assessment from BBC. There is no doubt that the Japanese situation is serious. The question for people in Vermont about the safety of Vermont Yankee, however, is not so much about the consequences of a huge problem, but whether our safety precautions will avoid such problems. I think they will and I have reasons to think so. Among other things, we assess risk in a different way. "The Japanese fell behind," Mr. Hardy said. "Once they made the proclamation that this was the maximum earthquake, they had a hard time re-evaluating that as new data came in." According to the article, the NRC uses "some" aspects of PRA in evaluating plants, but could use more. EPRI did considerable research in this area (though I was not one of the researchers) and I am sure that this research is available to the NRC. If you don't use PRA, you are likely to not assess the situation as far out on the "improbable accident scenario" spectrum as you will if you use PRA. "Deterministic risk assessment" sounds safer, but it is not. An ounce of prevention is worth a pound of cure. We developed PRA, we use it, and we should probably use it more. It is clear to me that risk analysis in this country has been far more thorough than the analysis in Japan, and our plants are far safer. Where was the Japanese NRC Equivalent When These Decisions Were Made? I am going out on a limb here. I have been watching some Teaching Company videos on economics. One of the points made in the course is that the Japanese economic miracle of the 70s and 80s was due to close cooperation of industry and government. It seems to me that the entire situation of government-industry cooperation might have become too close and too cozy. 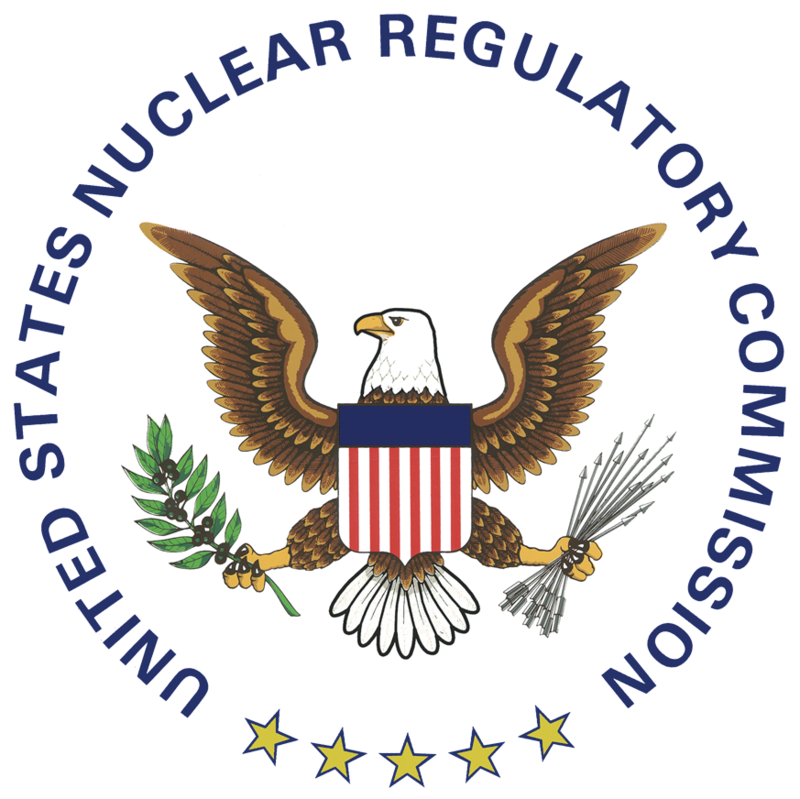 Nuclear opponents consider that the NRC is too cozy with the nuclear industry. From within the industry, however, the NRC looks much different. It looks adversarial. Inspectors are rotated in and out of plants so they won't get friendly with the workers. Reviews of new types of plants take years, maybe decades. The NRC is truly a watchdog. This is typical of all regulation in the U.S. Regulators in the United States generally take an adversarial view of their industry. This adds to the safety (and the cost) of most industries in the United States. The NRC has been doing a good job. I know that nuclear opponents will have a field day with this statement, but this is my opinion, and everything I read confirms it. I want to welcome new blogger, Plain English Nuclear. 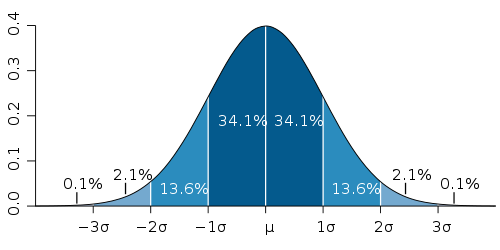 The subheading of this blog is "Trying to Explain What All Those Numbers and Terms Really Mean." The blogger is a nuclear professional and the blog is a very welcome addition to the pro-nuclear blog roll! I also want to welcome Phronesaiscal blog to my blog roll. This is a multi-person blog, and I have been reading Cheryl Rofer's posts on the blog regularly. However, since many of the topics were not closely akin to Vermont Yankee topics, I didn't have the blog on the Vermont Yankee visible blogroll. Recently, however, Rofer has been doing a great job of interpreting the news from Japan. Her background includes extensive experience understanding nuclear issues in the former Soviet Union areas. Today's blog is about how radiation exposure standards are set in various nations. I hope people will enjoy her blog! Another not-new blog is Atomic Insights. This is one of the oldest pro-nuclear blogs. Recently Rod Adams moved it off the Blogger platform to its own URL, atomicinsights.com. I have updated the address in my blog roll. Congrats on the move, Rod, and congrats on the beautiful new format! Also, I have added a new gadget to my blog: the email signup. With this, you can be notified when I put up a new post. Think how convenient this will be! No more searching through the twitter stream, desperately trying to determine if I have posted recently. (This assumes you hang on my every word.) Kidding aside, it is good to be able to sign up for blog alerts, and I hope my readers will find this gadget useful. Our local health food store sold out of potassium iodide within two days of the start of the Fukushima problems. There has been a run on potassium iodide tablets all over the world. Potassium iodide, like other drugs, should only be taken when it is needed. Yet people in Vermont seem to feel they need it to protect them from radiation, when reports say that only very low levels of radiation from Fukushima will reach our coasts. On the other hand, people may feel it is better to be safe than sorry. What is wrong with taking some pills as a prophylactic? 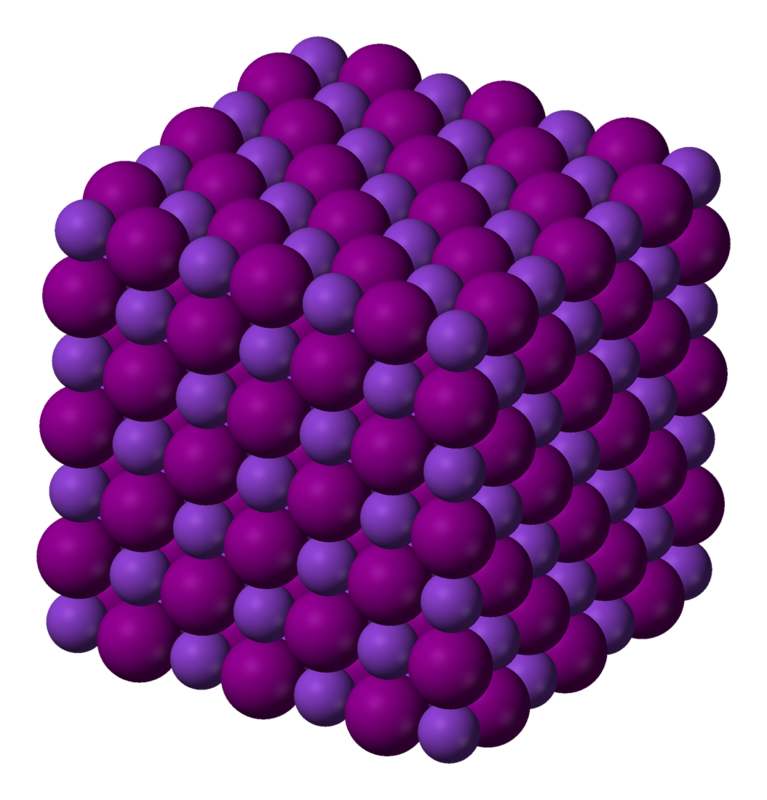 However, KI should not be taken in the absence of a clear risk of exposure to a potentially dangerous level of radioactive iodine because potassium iodide can cause allergic reactions, skin rashes, salivary gland inflammation, hyperthyroidism or hypothyroidism in a small percentage of people. Since radioactive iodine decays rapidly, current estimates indicate there will not be a hazardous level of radiation reaching the United States from this accident. When an exposure does warrant KI to be taken, it should be taken as directed by physicians or public health authorities until the risk for significant exposure to radioactive iodine dissipates, but probably for no more than 1-2 weeks. That is a pretty impressive list of side effects. Plus, you should only take the pills for a week or two at a time. Other doctors are also concerned with prophylactic use of KI. As JoNel Aleccia, MSN health writer notes in a recent blog post, doctors are already seeing people with side effects from potassium iodide, and poison control centers are getting calls. The pills are particularly dangerous for people over forty, who run a comparatively low risk of thyroid cancer (if radionuclides were actually present) and a high risk of allergic reactions to KI. Dr. Edward Maher, president of the Health Physics Society and on the board of the Ethan Allen Institute Energy Education Project, also forward this recently updated KI fact sheet, written in February of this year. The conclusions are all the same. Don't take KI unless you need it. And if that isn't enough, remember that K (potassium) is a beta-emitter, like tritium. It is the basis for the radioactivity in bananas. By taking a KI pill, you are deliberately increasing your exposure to internal beta radiation. As noted in my posts about bananas, you are not increasing your exposure by any significant amount. However, avoiding radiation may be another reason to not take the pills. Better to be safe than to be sorry? Last week, I gave a talk about Vermont and Japan to a local meeting of the American Nuclear Society. The discussion was serious and interesting, and we were lucky enough to have David Ropeik in attendance at the meeting. He is an expert in how people perceive risk. He pointed out that people like to feel they have some control over events. If keeping KI pills in the medicine cabinet makes a person feel prepared, what is the harm in it? In all honesty, I had never looked at it this way. I presumed if you had the pills, you would take the pills. But maybe not. Maybe having the pills is an insurance policy. In my opinion, the person buying the KI pills is insuring against something that is extraordinarily unlikely to happen. Something it is not worth insuring against. For me, buying KI pills would be the equivalent of buying a special policy that insured me only against the possibility that a plane might fall into my house. Still, that is my opinion, and obviously other people don't share this view of radiation risk in Vermont. So my current advice would be: if you are worried about radioactive iodine from Japan affecting you in Vermont, buy KI pills. But for Pete's sake, don't take them! 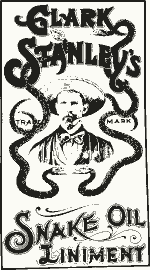 The 45th Carnival of Nuclear Energy Blogs is up at Idaho Samizdat. Some of the blogs have become excellent feeds of nuclear updates. The ANS Nuclear Cafe blog of the American Nuclear Society has twice-daily updates and links to all the important news sources on its Fukushima tab. Other blogs also provide updates. NEI has excellent white papers and graphics. Next Big Future covers world reactions. For example, the Polish Prime Minister supports their new nuclear project, saying "we can't succumb to hysteria about it." Most of the bloggers this time take a philosophical view, getting this event is perspective. Margaret Harding notes the optimist's dilemma: pessimists never have to say they are sorry. If pessimists are right, they did a great prediction! If they are wrong, well, that's nice but next time won't be so lucky. Gail Marcus also comments on the negative sides of expressing optimism. Rod Adams retreats from earlier optimism in an insightful post about why we still need nuclear energy, but we shouldn't underestimate the effects of this accident. Charles Barton discusses the public perception of nuclear safety, and I comment on information that we still don't know. Suzanne Hobbs of PopAtomic Studios encourages pro-nuclear people to cooperate in creative ways. In other posts, Cheryl Rofer discusses leaks and breaks and radioactive water: where does it come from? 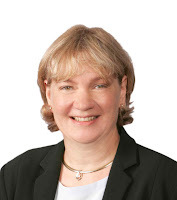 Michele Kearney's Nuclear Wire Blog describes safety considerations for older reactors. Areva describes the effect of the accident on nuclear workers in this country. Canadian Energy Issues and Idaho Samizdat look toward the future, and how Fukushima will (or won't) affect new construction. This is a more solemn blog than usual. Not really a carnival. It's more like a Greek philosophical symposium. Still, it is worth a visit, though you are more likely to drink a glass of red wine than eat cotton candy. Don't forget to donate to the Nuclear Worker Relief fund, or other charities of your choice. I thought I would post this view of a BWR. 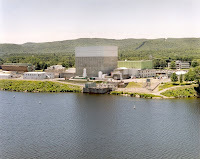 They don't say which of the Brown's Ferry reactors this is, but they are all GE BWR units, very similar to Vermont Yankee. There are huge problems at the fuel pools, and fuel pools are clearly another area for improved management. Still, if the Japanese reactors had had available back-up power and if they had been able to prevent hydrogen explosions, the fuel pools would have been fine. I will try to cover back-up power, hydrogen explosions, and fuel pools in some blog posts. I'm starting with the easy one today: hydrogen explosions. During Three Mile Island, there was concern with a "hydrogen bubble." Therefore, preventing hydrogen explosions was addressed in this country in a major retrofit effort in the 1980s. Among other things, the NRC ordered American reactors to be retrofitted with special vents to prevent hydrogen from accumulating in the reactor buildings. These hardened vents are designed to vent hydrogen into the atmosphere in an emergency. Vermont Yankee and all other American reactors have them. I don't know if the Japanese reactors were also retrofitted with hardened vents. A New York Times article today describes the current state of knowledge about the venting. It seems that the Japanese reactors were not retrofitted. The news came this morning that containment may be breached at Unit 3 and workers were contaminated in the turbine room with radioactive water. I do not know what this means, but I think NEI Nuclear Notes blog Friday Morning Update has the best description so far. So far, we have had very contradictory news from Japan. For a while, it looked like containment was breached at #2. Then, it wasn't. Now, it looks like containment may be breached at #3. The fuel pools at #3 and #4 seem to take turns being the major problem. It's hard to follow and pretty much impossible to blog about. "With the three men contaminated by radiation at Fukushima 3 this morning, our injury total at the reactor complex has risen to (fill in the blank)" etc. However, obviously Japan is in shambles, because other areas are equally opaque. A hydro power dam burst and obliterated 1800 homes, but only "according to some reports." I have seen scattered articles on this dam, but very few. For example, I saw this article in the trade press for hydro power. What happened at that dam? Similarly, Chiba refinery burned for ten days (or more) with very little coverage, and no word of any injuries or deaths due to the fire. An early video of the fire is below. It wasn't a teeny-tiny fire. You would think we would have heard more about it. I will attempt to blog about what I know about the Japanese situation, always remembering that I know very little. On March 10, the NRC announced they would renew Vermont Yankee's license. The earthquake and tsunami in Japan led to another announcement about the license possibly being delayed. Today, March 21, the NRC issued the license. I can't find the license letter at the NRC website yet, so I have linked to it at the Vermont Digger site. Due to the events in Japan, all power plants in this country will be under new types of review in the future. That is exactly what should happen! I am glad to see that the NRC is not putting the cart before the horse. They are not attempting to set up "lessons learned" before "facts are known." The Vermont Yankee license extension shows that the NRC is sticking to its procedures, which include assessment before rulemaking. As described in this AP report, many people view the VY license extension with alarm. As you could predict, Senator Bernie Sanders is particularly concerned. Though Vermont Yankee has its license, Larry Smith of Vermont Yankee was quite right to say that "(The license is) not a cause right now for any celebration in light of world events." Nobody in the industry is in a celebratory mood. Still, I am cheered that the horse of facts will pull the cart of lessons learned at the NRC, and that Vermont Yankee has its license. Update: In other local news, the Vermont Senate is beginning to look at the economic consequences of closing Vermont Yankee. Cool Hand Nuke has posted the 44th Carnival of Nuclear Energy Blogs. We thank Jeff Madison for putting this edition together. Unlike other Carnivals, he plans frequent updates. I have also added some charities to my blog design. I have two links to general charities that I believe will be effective in Japan. One is a Jewish charity, and one is the Salvation Army. Also, the nuclear industry, through the American Nuclear Society (ANS) has started a charity for nuclear workers in Japan. The charity is not limited to nuclear workers, but it looks at their needs first. Many of the men working now in Fukushima have no homes to return to. Their homes were washed away. The ANS Japan section (it has sections all over the world) will be involved in distributing contributions effectively. I will write more when I know more. 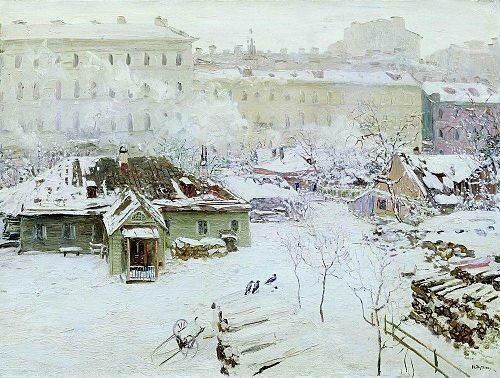 I post the picture of snow to remind people of the conditions in much of Japan. Update: I was on a podcast last night of pro-nuclear bloggers discussing Fukushima. One member of the podcast was Margaret Harding. She has appeared recently on many national news programs. Harding headed a safety group at a major nuclear systems vendor before she became a consultant. Other podcast participants were Rod Adams, Gwyneth Cravens, Dan Yurman, and Suzanne Hobbs. Thank you to Rod Adams for hosting the Atomic Show podcast, and for inviting me! Lessons Learned or Lessons Forgotten? 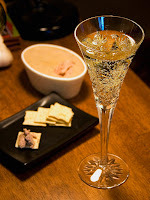 In some ways, writing a post on Lessons Learned in Japan is completely premature. For example, I was on a conference call yesterday with a knowledgeable person who said we could not use his name, but only his information as background. He said that containment is intact at reactors 1, 2 and 3. I objected that I thought it had been breached at Fukushima 2, in the torus (suppression pool). He said that they had previously thought it had been breached, but now thought it was okay. He talked about pressure readings staying high. Maybe he is right, it wasn't breached. Maybe he is wrong. We don't know what happened, so how can we learn lessons? There's a statement: Fools Rush In Where Angels Fear to Tread. I shall begin rushing in with some lessons learned and/or forgotten. I said that the sequence of events in Japan could never happen here. I got criticized roundly (and correctly) on that. Nuclear opponents, of course, were all over my statement as arrogant. Howard Shaffer, a nuclear supporter, reminded me quite firmly that saying something could "never" happen was not reasonable. If it is not contrary to the laws of physics, it could happen. Fair enough. I should not have said it. I will say, instead, that we don't face earthquake and tsunami here, as they do in Japan. Also, we have more safeguards than the Japanese plants had, because we did some serious upgrades after 9/11 and these have made a difference. For example, we arranged the situation in our plants so if the plant's own generators were knocked out, diesel generators brought in by the army could be easily put on-line. In Japan, when replacement generators finally arrived, connecting them to pumps continued to be a problem. Rod Adams blog has a short video on this. I wish there was more information available, but since these upgrades happened under the umbrella of "security" we will probably never know all the specifics. However, several people in the nuclear industry have assured me that some of the problems Japan faced simply will not happen here. When you add those upgrades to the lack of major earthquakes or tsunamis in Vermont, you can get to "probabilities for this type of disaster are extremely low." Which, of course, is different from "never." I think I made that improvident "never" statement because I was angry at people equating "a hurricane coming up the Connecticut Valley" with the widespread destruction in Japan. This was completely disrespectful to the suffering in Japan. As I have been watching the situation in Japan, I have come to the conclusions that the people who plan for evacuations assume that the major danger is radiological. So if you evacuate a certain zone, you have improved the health and safety of the people in that zone. Doctors Without Borders, the international assistance group, has seen cases of hypothermia, serious dehydration and respiratory diseases in some of the shelters, said the general director of the group's Japan affiliate. In the face of this situation, I think evacuation for radiological safety should be considered in the light of other dangers the refugees might face. If they are going to end up sleeping in a high school gym and eating casseroles prepared by the members of a local church, that's one thing. If the refugees are going to be sleeping in tents in the snow, with children and old people whose lives are at risk from cold and hunger, that is completely different. In other words, this is a matter of relative risk. The radiological issues off-site at Chernobyl and in Japan have been possible long-term effects (increased cancer risk, for example). Dying of thirst and hypothermia is an immediate effect. I am not saying: don't evacuate. I am saying: think about the conditions before you start evacuating. The cure may be much worse than the disease. Well, as long as I have brought up the C-word (Chernobyl) I might as well go on to say that the World Health Organization and U.N. studies showed that the worst health effects of Chernobyl were the despair, dislocation, and alcoholism in its wake. The majority of these mental health problems arose from the despondent feelings of the people who had been displaced from their homes. So perhaps my comments on the evacuation should be filed under lessons forgotten rather than lessons learned. Arnie Gundersen said that this accident would be Chernobyl on Steroids. He seems to have no understanding how the graphite fire spread radiation at Chernobyl. He acts as if the same thing is sure to happen with possible fires in small amounts of zirconium in the spent fuel pools. Well, it makes an dramatic scenario, at least. In a less dramatic experiment in the video below, U of C Berkeley engineers attempt to burn some zirconium cladding (unsuccessfully). They also discusses the difference between the problems at these reactors and Chernobyl. Note: If the cladding were in contact with water, it could liberate hydrogen and cause a hydrogen explosion. This is not the same as an on-going fire. Here's a link to a cartoon that the Japanese are using to explain the situation to their children. To watch this, you have to be ready for fart and toilet analogies. End note: I had many excellent and thoughtful comments on my last blog post about Fukushima and Vermont. I do intend to respond. Thank you all for your comments. 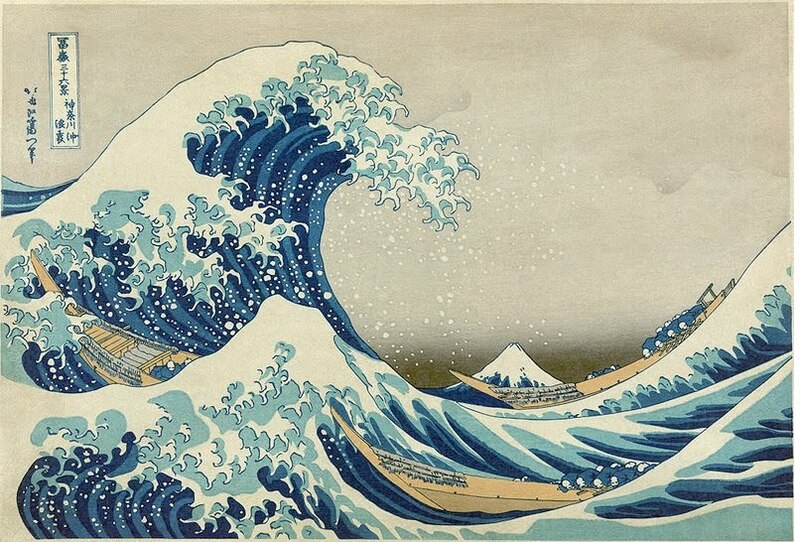 What Fukushima Means for Vermont: Tsunami on the Connecticut? Are the terrible problems at the Japanese Fukushima plants relevant to continuing to operate Vermont Yankee? I found myself in the middle of an email fight on this subject. I am answering Vermont Senator McCormack here, the same man who doesn't think we need to have electricity available whenever we feel like using it. I rarely post when people are busily insulting each other, but I am going to try to make some reasonable statements here. McCormack's argument is that loss of power and flooding can cause the same problems here as happened in Japan. That is not true. You see, nuclear plants have been running world-wide for about fifty years. They are designed to withstand loss-of-outside-power. All over the world, they have endured ice storms, floods, and hurricanes. Hurricanes generally include loss of outside power and flooding. It has not mattered. The plants did fine. Here's an article from Minnesota that I found in quick googling. It includes how Prairie Island plant withstood major floods in 2001. 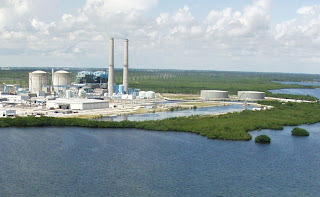 Hannah said the fact that the Turkey Point plant withstood Hurricane Andrew in 1992 should re assure Floridians. "Hurricane Andrew was probably as bad a hurricane as can hit U.S. shores. Turkey Point survived that. It was able to shut down safely." Does Mr. McCormack think we will have a worse hurricane in Vermont than Hurricane Andrew in Florida? Has he noticed that the Vermont Yankee power plant is hundreds of feet above the river? Florida is flat like a pancake...you can't find a place hundreds of feet above the water. Mr. McCormack has a political point to make, claiming that the events in Japan were NOT more difficult to deal with than events that could occur on the Connecticut. This is not rational. It is not a matter of being technical or not-technical, it is simply a matter of having some common sense. The combination of infrastructure destruction and flooding from a 9 point earthquake and a 30 foot tsumani just cannot be duplicated here, no matter what type of ice storm or hurricane we have. In every case of the type of event we might have here, the nuclear plants have been successful in shutting down and starting up again, without incident. Non-technical people can understand technical matters, if they don't have a political agenda that interferes with their understanding of the facts. Insults to the non-technical are not useful. I worked hard for my masters degree in physical chemistry and to invent patents in pollution control. Saying that pro-nuclear people "should bow their heads in shame" and such people are "(not) scientifically competent" is equally insulting. This was in response to the following statement from McCormack: The time has come for the pro nuke crowd to bow their heads in shame, to exhibit the judgment to just shut up or, if they must speak, to apologize and admit how thoroughly they've been discredited. But not only are they not showing the appropriate level of humiliation and remorse, they're still talking down to the rest of us, still scolding us for talking out of turn, still pretending we're scientifically ignorant and they're scientifically competent. Aside: this email exchange went to about 80 people, including legislators and reporters. It was not private. For information on the backup capabilities at Vermont Yankee in an emergency, see this article in our local paper. ANS Nuclear Cafe, with links to everything including Japanese TV in English. Nuclear Energy Institute, which has good summaries. 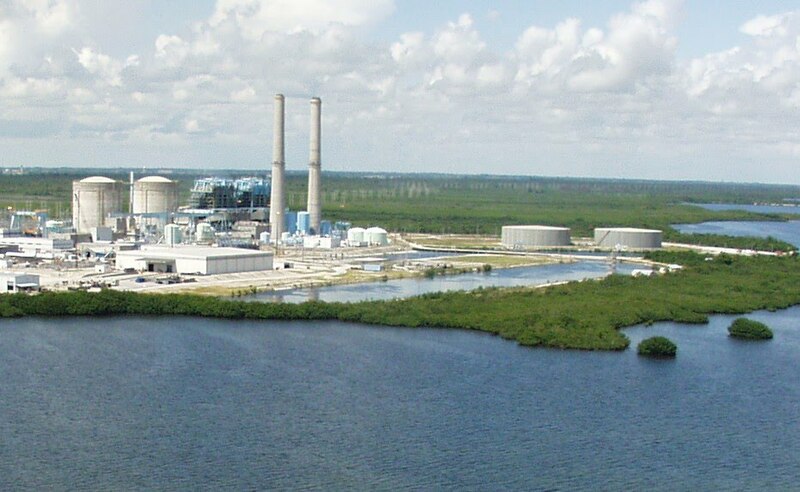 Here is some VERY good news from this source: Restoration of electrical power to the site was under way at the Daiichi plant as of 6:00 a.m. EDT Wednesday. A temporary cable was being connected between an off-site power line and Daiichi reactor 3. Off-site power has not been available at the site since the earthquake on March 11. A graph of radiation levels around the power plant, from the New York Times, which I hope they will continue to update. These levels are very high, very dangerous. However, I have no equivalent information about levels a mile away or levels in Tokyo, so I can't tell about off-site implications. I began writing a post on this, but gave it up for lack of information. Update: Another blogger began following radiation levels: The Neutron Economy. He is getting some info from Tokyo. Worth watching this blog. An excellent blog post by Suzanne Hobbs about perspective. A friend of my daughter's wrote me an email: Can you write about those Japanese reactors in a way that ordinary people can understand? I decided to try, despite the fact that there are many excellent resources out there. I particularly recommend this post at the Energy Collective. I am oversimplifying, and I don't have all the facts I would like to have. But waiting for all the facts would take a long time. A boiling water reactor is a bunch of fuel rods (uranium oxide pellets with a zirconium coating to hold them together) and water circulating around them. The pellets get hot because a fission reaction liberates heat. The hot pellets heat the water, and the water boils and becomes steam. The steam turns a turbine and makes electric power. Now, let's assume something goes wrong. Say, an earthquake. The sensors in the reactor feel the earthquake, and they shut down the reactor by putting control rods into it. These rods grab up neutrons and stop the fission reaction. However, the uranium pellets are still hot, and so you have to keep water circulating to remove the heat. The circulating water is driven by pumps, the pumps are driven by electricity, but where does the electricity come from if the reactor shuts down? In general, the electricity comes from the grid when a nuclear plant stops making power. However, in an earthquake or other emergency, the grid may well be unavailable. Therefore, nuclear plants have diesel generators, which can drive the pumps for a long time, until the grid goes back on-line, or it is safe to restart the plant again. And now, we switch to talking about the Japanese reactors. When the Japanese nuclear plants sensed the earthquake, they shut down quickly and simply, as they were designed to do. Within seconds, the diesels at all the plants started, and cooling water began to circulate. (The earthquake was about five times as strong as the design-basis earthquake, and everything worked very well. This was a triumph of engineering.) An hour went by, with the diesels working, the plants fuel rods cooling and everything fine. Then the tsunami came. It knocked out the diesels at the three plants closest to the water, and they could not be started again. The Japanese also had back-up batteries, but they were not strong enough to keep the correct level of pumping going for very long. Questions arise. Why couldn't they get more diesels? Why were the diesels placed where they were so vulnerable to flooding? I don't know. On the other hand, it is easy to ask questions on a nice spring day in America. It is much harder to work hard in the middle of a crisis. When the zirconium fuel rods overheat, they react with water and liberate hydrogen, which is explosive. 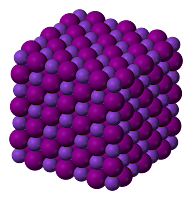 Since the zirconium was overheating, hydrogen was being liberated and could explode. At this point, the story gets more complicated, with hourly updates on the water levels, and hydrogen explosions that wreck parts of the reactor building, but don't interfere (as far as we can tell) with the main business of adding water and venting water vapor at the reactor. As far as I can tell, The graphic above shows the explosions taking place above the containment area. A set of good graphics at the Capacity Factor blog show the that the explosion blew out panels, above the main containment area. The concrete area begins below the area that blew out. Flooding BWR Reactor Pressure Vessel with borated water is a STANDARD part of the BWR design. We don't use it unless we have to because it does odd things in a reactor that bubbles, but it is certainly not "untested". I've explained that to several reporters. Also, explain that some plants have seawater injection as a STANDARD emergency back-up option - it isn't used because we don't want that mess in the reactor unless we have to have it. Just like boron. As far as I can tell, this set of techniques worked for reactors 1 and 3. They are still adding water and bleeding steam, but the temperatures are dropping within the reactor vessels and the chances of overheating are fading. The hydrogen explosion at unit 3 was terrible, injuring 11 people. But those two reactors appear to be under control. Assuming all continues to go even moderately well, a few weeks from now the reactors will be ruined, but nothing much worse will have happened. The situation is different at reactor 2. In the cases of units 1 and 3, the water flooding and bleeding have led to bringing the units close to safe shutdown. In these cases, the containment was not breached and the full rods spent most of their time covered in water. In unit 2, however, the situation is different. The fuel rods have been uncovered for long periods of time because a stuck valve defeated the feeding and bleeding operation. A hydrogen explosion may have damaged the integrity of the containment and/or the torus, which is that large donut-shaped object, filled with water, at the bottom of the drawing at the top of this blog. There have been significant releases of radioactivity from unit 2. Bulletins about the plant are coming in practically by the minute, and some are contradictory. 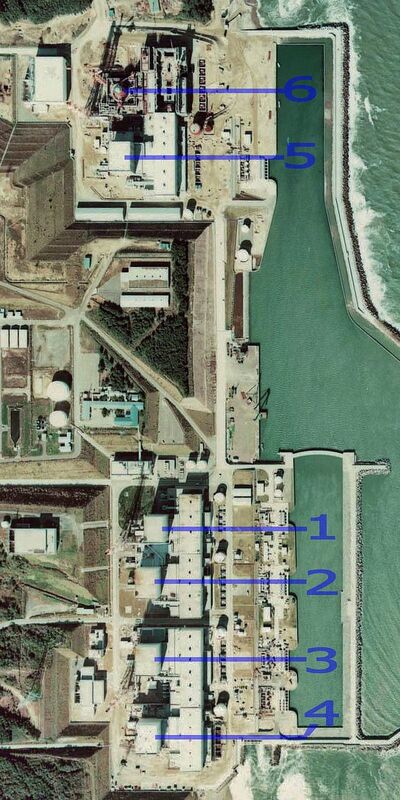 For example, now I have learned that a fire at unit 4 came BEFORE the explosion at unit 2. Reactor 4 had been shut down before the quake. The fire was at the fuel pool, and is apparently put out. I do not know if the radioactivity release is primarily from unit 2 or from the fire. You can watch English translations of the main Japanese news sessions at the the NHK World site. You will then know as much as I do about the latest developments. It has been a confusing day, with fires starting and stopping. I sometimes think I should just stop writing about Japan at all for a while--it has been too hard to follow. Cheryl Rolfer has already made that decision: her post Cooling Off or Melting Down is worth a read. To understand today's events, though, Barry Brook's summary at Brave New Climate seems the best way to update this blog post. This morning, commenter Martin Langeveld sent links to some excellent pictures of the plant. Thank you Martin! I don't want the links to be buried in the comments, a section people may or may not read. For a recent photo of the plants (you have to scroll to see them all) see this picture. For a set of pictures, go to this site. First thing this morning I saw the video of an explosion at the Fukushima Daiichi 1 reactor. I spent much of today trying to figure it out. There was clearly a hydrogen fire (you can see the thin blue flames rising rapidly at about 24 seconds into the video.) Beyond that, all was confusion. The Japanese said that containment was not breached. Others said that the top of the reactor building seemed to be missing: if that wasn't "breaching containment," what was? Meanwhile, the Japanese also talked about the turbine building, and hydrogen fires in turbine buildings are pretty common. (Generators are cooled with hydrogen.) Though I no longer think the explosion is due to a generator fire, a fire in the turbine hall is still mentioned as a possibility in a recent New York Times article. (The turbines and generators are in the same building, called the turbine hall.) Atomic Insights blog also thought the explosion might be in the turbine hall. 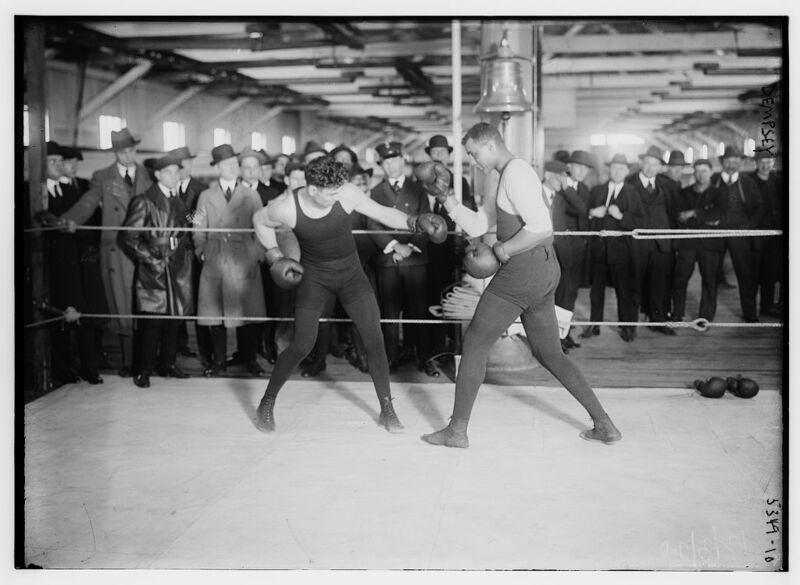 This blog also has a very informative discussion. It's been that sort of a day. A day in which it has been very hard to figure out what is happening. When reasonable people don't know WHAT exploded, it's hard to move on from there. Turns out that the NEI site is probably closest to correct. The outer containment building was breached in the explosion, but the inner containment of the core is intact. 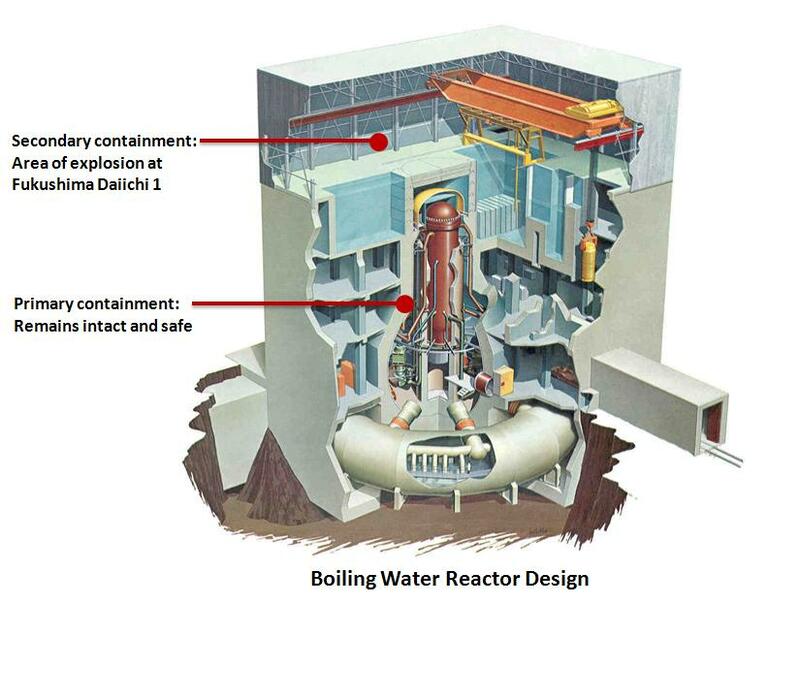 They are flooding the inner core with seawater and boron, which will ruin the reactor. Of course, the hydrogen fire probably means the reactor is ruined already: you don't get enough hydrogen to explode unless the fuel is uncovered and overheated. That explains a lot. The containment part probably begins below those curtain walls. All day has been like this. Trying to figure out the questions to ask (why such a neat line after an explosion?) and then trying to get the answers. I don't know. The Japanese are distributing iodine, which doesn't sound good. On the other hand, when I visited Japan, I saw many people walking about with face masks to prevent disease spread. There wasn't a single piece of garbage on any street. The culture of Japan, as far as I could tell, is very organized, clean, and willing to take precautions. So maybe the iodine is a precaution. But maybe the iodine is a symptom that things are going very wrong. I simply do not know. I continue to recommend the ANS Nuclear Cafe site for updates. It contains links to many other sites, including English-language Japanese television. In general, the New York Times has some of the best coverage in the main-stream media. I also recommend this thoughtful and balanced article A Japanese Three Mile Island, by Christine Russell at The Atlantic. I don't have my usual picture of a Ferris wheel here. Areva NextEnergy Blog has the 43rd Carnival of Nuclear Energy in place, and it is a good one. I encourage you to read it. I have to admit that I am more involved in trying to figure out what is happening in Japan. Let's start with the first entry into the Carnival, though. The ANS Nuclear Cafe is posting a constantly-updated set of links about nuclear power stations in Japan. This is a great resource for finding specifically-nuclear news about Japan. Another source I found useful was this set of pictures: Massive Earthquake Hits Japan, the Big Picture. Amidst so much devastation, I was charmed to see a picture of schoolchildren praying for the people of Japan. I found the picture warmed my heart because the schoolchildren are in Ahmedabad, India. This is our son-in-laws home town, and a place I have visited. I was in the 1989 Loma Prieta Earthquake in California. That was a 7.1 Richter earthquake. I can only begin to imagine what a 8.9 Richter earthquake would be like. Even thinking about it is terrifying. Our daughter was away at college at the time, and from TV news, she pretty much thought everyone in Northern California was dead. Including us. TV repeatedly showed the same images of the Marina in San Francisco burning and the Cypress Overpass bridge collapse. It wasn't that bad all over the Bay Area, though. At our home in Palo Alto, we lost two vases from high shelves, and we spent a lot of time on the front lawn talking to our neighbors. In other words, the earthquake was not devastating. Where we lived, that is. In this earthquake, I am trying to figure out if the same thing is happening. The damage is much greater than it was in California. Homes have been swept out to sea. An entire city is on fire, not just a neighborhood. Oil refineries are on fire. But as far as I can tell, Tokyo is shaken, not much damaged. The damage may be more localized than the pictures suggest. Or not. I am going by my own experience here, and with an 8.9 magnitude earthquake, my experience is not necessarily a good guide. I was in Tokyo during an earthquake once, and they have amazingly effective earthquake engineering. My hotel swayed and it woke me up. Otherwise, nothing happened. It was, however, a small earthquake, not like this one. As I watched the footage of the Japanese parliament during the earthquake, I was reminded of how good the earthquake engineering is in that country. Anyhow, I am trying to figure things out. These are just my thoughts, and I try to have hopeful thoughts about people's survival, all over Japan. What about that nuclear plant? Most of the nuclear plants in Japan are still running, as I read it. The plants in the earthquake-affected area shut down automatically, as they should. The plants in that area had a loss of outside power (sometimes called a LOOP). This is a planned-for situation, though certainly not welcome. When outside power is lost, the plant shuts down automatically. The control rods go in, the plant is off-line. Within seconds after that, the diesel generators start to keep the pumps going and dissipate residual heat in the reactor. Apparently, in the case of the No. 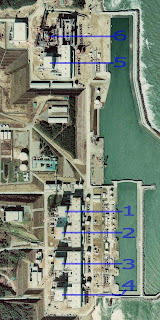 1 reactor at Fukishama, the tsunami put the diesels out of commission. At which point, figuring out what was actually happening became very confusing. The core of the plant is still covered with water. Batteries have been brought in. America flew coolant (water?) in, according to one report. Why? The Japanese have water, they don't have power! Then an update: No, America did not fly coolant in, the Japanese are handling it themselves. Okay, this I believe. Besides, coolant isn't the problem. Power is the problem. Why are there batteries instead of diesel generators on the job? (I have no idea.) The fuel rods are still covered by water, and, as Margaret Harding explained, as water is brought in, the pressure rises and must be vented in short bursts. (Margaret Harding was one of the blue ribbon people when I was trying to give a blue ribbon every Monday. She is a nuclear engineer who was head of a GE task force on safety planning.) However, since the fuel rods are covered, the vented water is not particularly radioactive. If the fuel rods were not covered with water, the situation would be different. But so far, things are basically under control, or as under-control as an earthquake and tsunami allow. I am following the breaking news, and probably some of the things I wrote in this blog will turn out to be incorrect. However, I have the advantage of following not only the news itself, but the comments of some pretty smart people on a nuclear listserve. I hope this post is helpful to my readers. 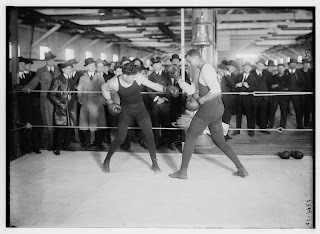 This is the sort of thing that it is easier to blog about...in retrospect. This just in: According to my listserve, this post of David Lochbaum at the Union of Concerned Scientist is probably pretty accurate. I try to give credit when it is due. 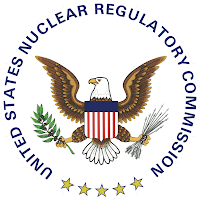 Today, the NRC issued a letter saying that it would renew the license at Vermont Yankee. This is good news. Not unexpected news, but very good news nevertheless. As I noted in a previous post, the NRC was treating equal-performing nuclear plants in un-equal ways, depending on the amount of noise being made by anti-nuclear groups. Specifically, the Duane Arnold renewal (sister plant to Vermont Yankee) took slightly more than two years. Vermont Yankee's renewal took over five years. Yesterday, the NRC also announced that Vermont Yankee had passed its annual review with All Green (highest quality) indicators for safety. The latest kerfuffle was about contentions by the New England Coalition, a long-term anti-nuclear group based in Maine. They carefully analyze whatever the NRC is investigating as a possible generic safety question, and immediately bring a contention that Vermont Yankee must be adhere to as-yet-unannounced standards that the NRC may someday-in-the-future decide to promulgate. The latest contention was the issue of water in electric cabling. In my earlier blog post, I pointed out that this was equivalent to telling a business owner that he couldn't open a business because they were still deciding on some type of regulation about signs. If the problem was an immediate safety issue, the NRC would have acted, not put the issue up for review. If an issue is up for review, all plants can await the NRC's ruling on what should be done. The NRC finally recognized this. Just to note: the person filing contentions from New England Coalition is also the man who boasted of getting state regulators "by the short hairs" about decommissioning. Looks like the NRC broke free of this grip. Various senators and congressmen have put pressure on the NRC about Vermont Yankee in recent days. Republican Politicians: Two Republican senators, James Inhofe and David Vitter, recently objected to the lengthy delays of the NRC in relicensing some plants. 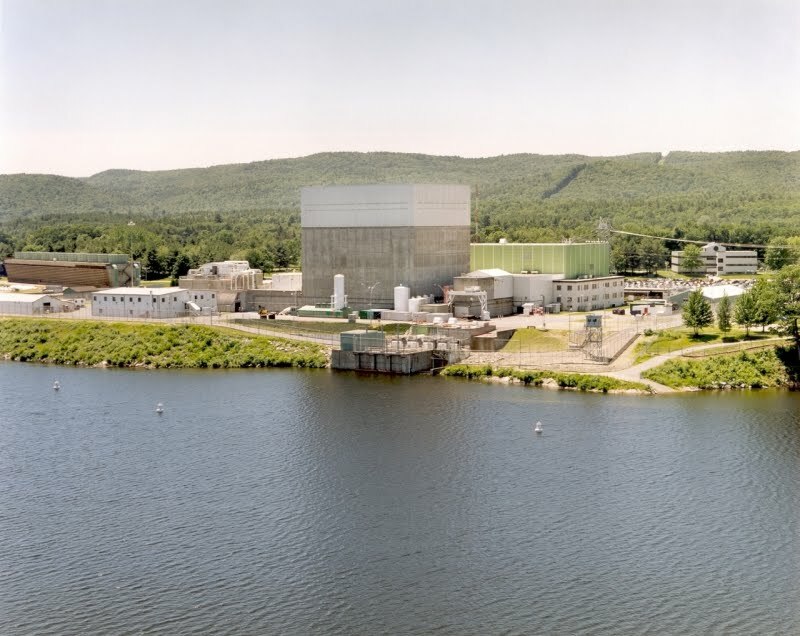 Vermont Politicians: The Vermont congressional delegations went to the NRC to try to persuade it to forbid Vermont Yankee from using the SAFSTOR decommissioning option. Like our governor, the delegation seems to have forgotten that the state signed an agreement allowing SAFSTOR as an option. The NRC can't break that agreement. Or if it can, it can also take away the state's powers to regulate the plant. THAT would be interesting! Assuming they are reasonable, who is NRC is more likely to listen to? The NRC chose to do their job, thank heavens! Or, if you don't like reason, try politics. Who will the NRC listen to? A true-blue state that has three total votes (2 senators, 1 congressman) and is sure to vote with Obama's plans, whatever the NRC does. Populous Republican states, whose congressional delegations can conceivably help (or not block) Obama initiatives. This question has an underlying assumption that the NRC is influenced by politics. I hope that is not true. Still, it's nice when reason and politics actually work in the same direction. I am elated to see Vermont Yankee get relicensed! I also want to recommend the Idaho Samizdat post on the renewal, with reactions from anti-nuclear groups and a perspective on the state situation. As usual, Dan Yurman pulls it all together! Today's Valley News (my local paper) contained a front-page article: Is the Home Solar Market Dimming? The article was by Chris Fleisher, an excellent business writer, and included a picture of Kimberly Quirk, a local engineer who owns the Energy Emporium in Enfield, New Hampshire. I have known Kim for several years, and have the greatest admiration for her knowledge and her store. The article had a picture of Ms. Quirk in her super-insulated basement, but very little else about conservation. Willem Post wrote this guest post in response to the Valley News article. The March 6th, 2011, Sunday Valley News article Is Home Solar Market Dimming? describes that the future of PV solar looked bright until about 2008. Then the Great Recession began to bite. Many households in the top 5% of income, who had been benefiting the most from the generous PV solar subsidies, decided to be less green as there was less of the green stuff in their financial accounts. Vermont had a substantial amount of funds in the Clean Energy Development Fund (CEDF) but it was decided to rapidly spend most of it (lest legislators would raid that kitty for other "worthwhile" state programs) on subsidies of up to $250,000 per project for wind turbine and PV solar systems. The politically well-connected received most of the subsidies for commercial projects (groSolar recently sold its residential division), leaving not enough for no-political-clout households. The CEDF has about $800,000 left. Vermont Yankee had been required to kick in about $6 million per year since about 2002, but with the prospect of that plant closing that source of funds will disappear. For example, the CEDF provided a $250,000 subsidy to the Bolton Valley Ski Area so it could install a 100 kW, Vermont-made, wind turbine for $750,000; it has not been not operating for at least a week, even though there was plenty of wind. According to Bolton Valley's website, the wind turbine generated 204,296 kWh from October 2009 to-date, about 17 months. Capacity factor is (204,296 kWh/1.4 years)/(8,760 hr/yr x 100 kW) = 0.17. The web site has extensive information on the turbine. The wind turbine was sold to Bolton Valley on the basis it would produce 300,000 kWh/yr, for a capacity factor of 300,000 kWh/yr/(8,760 hr/yr x 100 kW) = 0.34. It is somewhat like selling a car and telling the new owner it will do 34 mpg, whereas it actually does only 17 mpg. It is a travesty to waste scarce taxpayer money on projects of dubious value considering the many low-income households "living, i.e., freezing their toes off", in leaky, drafty, under-insulated single and doublewide housing all over the Vermont. There are icicles hanging off almost ALL roofs in Vermont. The icicles mean that heat rises through the openings in the ceiling of the house, moves through the poor insulation into the attic, warms the roof, melts the snow to water which runs down to the colder eaves where it refreezes and forms an ice dam. Then the water backs up, forms a puddle, goes under the shingles and into one's living space. The end of the current funding from the CEDF was discussed extensively in the Valley News article. The concern was that on-again, off-again subsidies would not encourage the renewable industry. Rep. Margaret Cheney is a member of the House Natural Resources and Energy Committee. What are Cheney and her cohorts cooking up to bring subsidy predictability back? The Committee is considering flat fee of 55 cents per month for households and a higher fee for businesses. These fees will be added to the electric bill. Note the fee for businesses is not specified. Will it be on kWh consumption? Will funds raised from households be allocated to households and funds raised from businesses be allocated to business? The idea is to start the fee low and jack it up later, as was done with the Efficiency Vermont fee (a quasi-state agency reporting to the Public Service Board. The head count at Efficiency Vermont is well over 175) which started at about 2% and is now about 5% of monthly electric bills, or $60/yr. “We need to become independent from out-of-state energy sources,” she said. I think Cheney should forward to the day Vermont is really serious about energy efficiency. 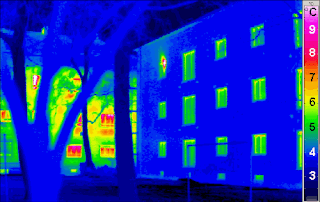 Energy efficiency will have a much bigger role in the near future, as energy system analysts come to realize that tens of trillions of dollars will be required to reduce CO2 from all sources and that energy efficiency will reduce CO2 at a lesser cost and more effectively. will make the US more competitive, increase exports and reduce the trade balance. usually have simple payback periods of 6 months to 5 years. reduce the need for expensive and highly visible transmission and distribution systems. reduce two to five times the energy consumption and greenhouse gas emissions and create two to three times more jobs than renewables per dollar invested; no studies, research, demonstration and pilot plants will be required. have minimal or no pollution, are invisible and quiet, something people really like. are by far the cleanest energy development anyone can engage in; they often are quick, cheap and easy. have a capacity factor = 1.0 and are available 24/7/365. use materials, such as for taping, sealing, caulking, insulation, windows, doors, refrigerators, water heaters, furnaces, fans, air conditioners, etc., that are almost entirely made in the US. They represent about 30% of a project cost, the rest is mostly labor. About 70% of the materials cost of expensive renewables, such as PV solar, is imported (panels from China, inverters from Germany), the rest of the materials cost is miscellaneous electrical items and brackets. will quickly reduce CO2 at the lowest cost per dollar invested AND make the economy more efficient in many areas which will raise living standards, or prevent them from falling further. if done before renewables, ENERGY EFFICIENCY will reduce the future capacities and capital costs of renewables. I look forward to the day when Vermont is serious about Energy Efficiency. 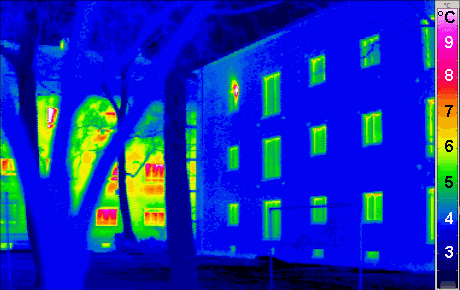 German PassivHaus thermogram (house on right, with low thermal leakage) from Wikimedia. The American Nuclear Society (ANS) is a professional society for the nuclear industry. Howard Shaffer has been a member for over thirty years. For much of my working life in the nuclear industry, I was a member of the corrosion engineers' society, NACE International. I joined the American Nuclear Society when I moved to Vermont. Though the American Nuclear Society has American in its name, it is actually international in scope. For example, ANS just opened a section in India. Howard Shaffer and I both write guest blogs at ANS Nuclear Cafe. Here's a link to Howard's most recent post, and to mine. The American Nuclear Society also started the Vermont Pilot Project. This project is co-sponsored by the ANS as a whole and by the Northeastern Section of ANS. Howard Shaffer heads the Pilot Project outreach program, which makes nuclear expertise available for advocacy efforts in Vermont. The Energy Education Project (I am director) works closely with the ANS Vermont Pilot Project. In other words, Howard and I still work together. With all this activity (blogging, Pilot Project), I wasn't totally surprised when people at ANS said they wanted to interview us for an article in Nuclear News. 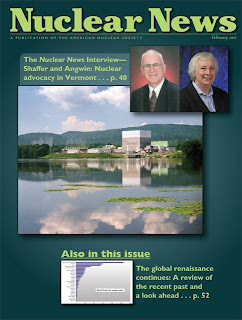 Nuclear News is a monthly publication sent to 11,000 ANS members worldwide. When ANS asked to interview us, I imagined we would be a little one-page interview, tucked somewhere in the magazine. Instead, Howard and I are delighted and honored to have been the cover story in Nuclear News in February. The article is several pages long, with many quotes from us about the situation in Vermont and our outreach efforts. During February, however, the story was behind a paywall at the ANS website. Now, in March, you can download it and read it in full. At the March meeting of the Northeastern Section of the American Nuclear Society, I will present a talk on Vermont Pro-Nuclear Activism: A History and Lessons Learned to Date. This ANS meeting will be in the Boston area on the evening of March 22. ANS meetings are primarily for ANS members, but guests are welcome. Contact me at mjangwin at gmail for more information. The 42nd Carnival of Nuclear Energy is up at Next Big Future. Come and visit and have some fun! Gail Marcus of Nuclear Power Talk discusses the (supposed) subsidies for nuclear energy and the actual $4 a month charge proposed for Maryland ratepayers. 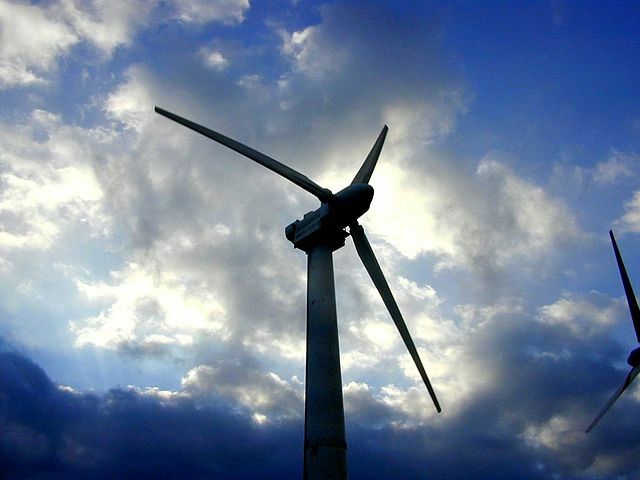 This fee will support offshore wind farms. At ANS Nuclear Cafe, Ajax Eastman, a long-time environmentalist, sees her beloved Maryland ridges chopped and cut for wind turbines. She re-examines nuclear, and she decides she likes it. Charles Barton of Nuclear Green discusses the lack of due diligence in fossil fuel energy analysis. In a more hopeful look at fossil fuels, Brian Wang of Next Big Future describes improved particulate control for coal plants. This form of pollution control could save millions of lives each year. Dan Yurman of Idaho Samizdat shows that progress is being made on new plants in Texas and Virginia. It is clear that 2011 is shaping up to be a better year for American nuclear than 2010 was. Rod Adams of Atomic Insights has some important ideas for improving the licensing process for the new generation of nuclear plants. Wind and solar have intrinsic limitations, but nuclear has man-made obstacles. 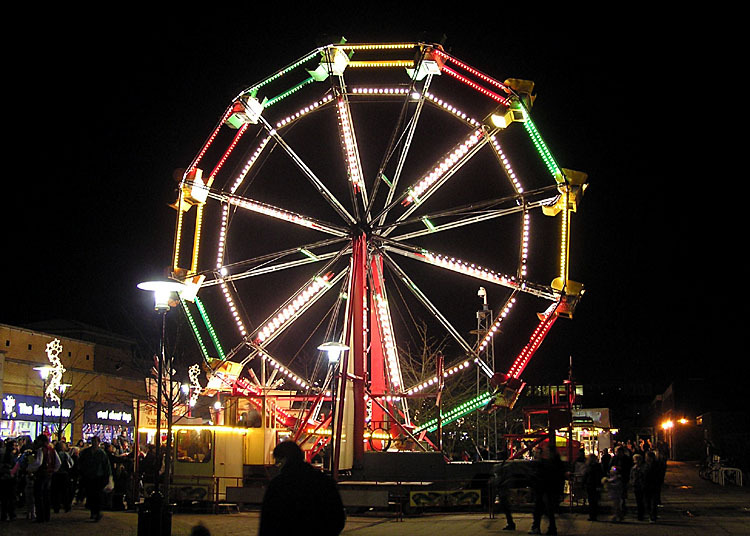 Overall, this 42nd Carnival provides great perspective on the world's energy options. All that, and cotton candy too! Come visit! I began blogging on January 1, 2010. With my first substantive post, on January 3, 2010, I began discussing and linking to the Memorandum of Understanding (MOU). The MOU is a key document in the story of Vermont Yankee. Only nine pages long, the MOU describes the terms of purchase when Entergy bought Vermont Yankee in 2002. It includes the cost of power, the decommissioning fund, decommissioning options, and other issues about the purchase. The MOU was signed by Entergy (the buyer), utility representatives (the sellers), and the State of Vermont, in the person of the Commissioner of the Department of Public Service. As far as I can tell, it is as binding as any other document the state has ever signed. Shumlin doesn't like it. The MOU includes the option to use SAFSTOR (delayed decommissioning) for the plant. Well, fine, Shumlin doesn't have to like it. However, Shumlin goes further: he repudiates it as a binding document because "Here in Vermont, Your Word is Your Bond." He doesn't feel the SAFSTOR option was discussed enough in committee. Therefore, in his opinion, the contract does not have to be honored. In Shumlin's opinion, SAFSTOR was a matter of Entergy "sneaking" some words in among "thousands of pages" of documents. In the video clip above, you can hear Shumlin answer Terri Hallenbeck, a veteran reporter for the Burlington Free Press. Shumlin said that SAFSTOR wasn't discussed enough in the committee. At around 2 minutes and 40 seconds into the video above, Hallenbeck asks Shumlin why the discussions in the committee rooms would matter more than the document the state signed. Shumlin's answer: "You working for Entergy today?" There is almost nothing I can do to comment on such an outrageous statement. A reporter's question means she is working for Entergy. If you question me, you are against me! Okay. So Shumlin is being outrageous. He is in a world of his own. If a person asks a question, and the question indicates that reality doesn't always fit Shumlin's plans---that person is in league with his enemies. What makes this interchange so Orwellian ("War is Peace" from 1984) is Shumlin's constant use of the phrase "In Vermont, Our Word Is Our Bond" while he explains that the contract is not something he plans to honor. A contract isn't a contract, a contract is whatever Shumlin thought the contract was. "Our Word Is Our Bond." I find this far more frightening than if Shumlin said: "Yeah, it's in the contract, but Vermont is going to do its best to break that thing down. I don't like it, and Vermont has lawyers on staff. We'll bust it." That would at least acknowledge the existence and validity of a signed contract. War is Peace. Signed contracts are the work of sneaky people from Louisiana. Vermonters don't have to honor such things, because in Vermont, Your Word Is Your Bond. War is Peace. I need to thank two excellent reporters for the information in this post. First, Anne Galloway of Vermont Digger who posted the YouTube above in her article on Shumlin's press conference. Terri Hallenbeck of Burlington Free Press for her incisive follow-up blog post which includes links to the history of other power plants in New England that have had delayed decommissioning. I also want to thank Howard Shaffer, whose short comment on the Hallenbeck article gave me the crucial idea for this post. I believe that the other reporter whose voice you hear on the video is John Dillon of VPR. 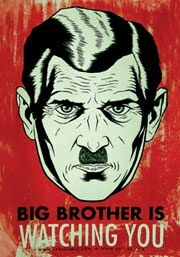 The Big Brother Image from Wikimedia commons is not exactly right for this post, but I can't find a DoubleThink Image. I can't even imagine what a DoubleThink image would look like. Or perhaps the video is the illustration?